While the world is endlessly fascinated with President Donald Trump, they are equally curious about the First Family—and with good reason. His adult children and their spouses have had unprecedented influence over his campaign and administration, and his foreign-born First Lady, Melania, is the first former model married to a president. Attractive and powerful, they are as interesting and unconventional as the candidate himself, and unlike any anything the White House has ever seen. 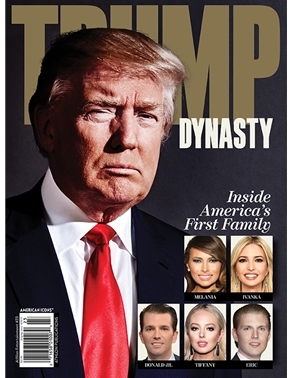 This special will feature vibrant photos and in-depth stories on Melania, Ivanka, Donald Jr., Eric, Tiffany and Barron, exploring their private lives and their relationship with the most powerful man on the planet.